Rebate apps are valuable tools for cutting down on your grocery expenses—I reviewed several in an earlier post, Save Money with Rebate Apps. But if you want just one great rebate app, go with Ibotta. Founded in 2011, it’s by far the most popular and well-known of the rebate apps and works at over 300 retail chains. Not only has it saved me the most of the rebate apps I’ve tested, but I find it has the most rebate offers. Its biggest perk is that it offers “any item” and “any brand” rebates, which are normally worth 25 cents. It also offers special money-saving features that some of its competing apps lack, such as bonuses for meeting redemption goals. 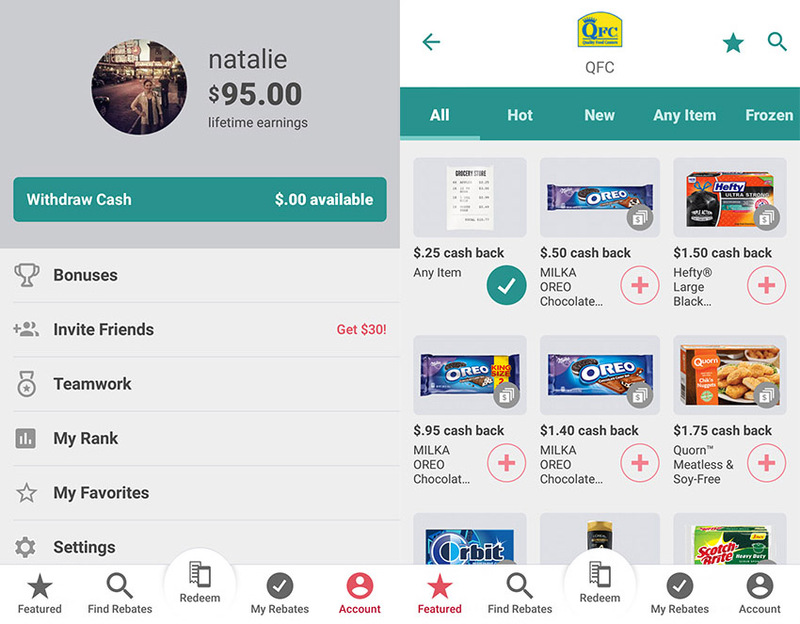 Whereas some rebate apps have offers that you can redeem at any store, Ibotta’s vary by store (Walmart, Target, and Kroger stores have the most), so be sure you’ve selected the store in mind before looking through offers. Most rebate offers are only valid at physical grocery and drugstore locations, but Ibotta has been expanding its options with rebates available online and some at clothing and department stores, thanks in large part to its partnership with Spring. What Items Work with Ibotta? As mentioned earlier, Ibotta offers “any item” rebates on anything on your receipt and “any brand” rebates on things like dairy, eggs, and produce, usually worth a quarter. It offers a useful tool that allows you to check whether a product qualifies for an offer by scanning its barcode—with so many variations on similar products, buying the wrong one isn’t hard to do. At any given time, they have a collection of special bonus offers that you can some earn extra money with either by redeeming a certain number of non-brand-specific rebates or by redeeming two or more from a particular brand. For example, yesterday I earned a $5 bonus for redeeming a single rebate, and that was on top of the $1.50 I got from the rebate offer itself! Similarly, you can earn additional dollar amounts from Ibotta’s “teamwork” feature when your “teammates” redeem a certain number of rebates within a given time frame. When Do New Ibotta Offers Appear? While there isn’t an official day that new Ibotta offers are added, new ones tend to appear on Wednesdays and Thursdays. Additionally, while offers are single-use, the same rebate will sometimes reappear a day or so after redemption. How Do You Redeem Ibotta Offers? To verify your purchase, you’ll usually have to scan the relevant product’s barcode and upload a snapshot of the receipt from within the app. However, some stores (such as Rite Aid) have teamed up with Ibotta as “preferred loyalty retailers” and require you to link your loyalty card, simplifying the process by eliminating the need to do so. If that applies to your store, you’ll be prompted to enter your loyalty card before redeeming any rebates. Note that while you can browse rebate offers from the website, you can only redeem them from within the phone app. Your account will be credited with your introductory $10 bonus after redeeming your first rebate. You can cash out once you hit $20 in earnings via Paypal, Venmo, or you can choose from among about 20 gift card options (a few of which have a slightly higher minimum of $25).